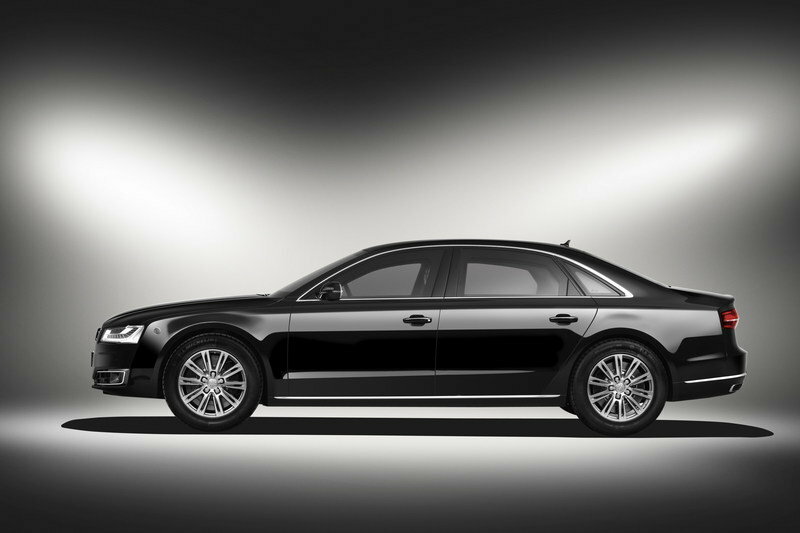 The Audi A8 L Security is one of the most exclusive models in the entire Audi lineup. It’s not the fastest or most powerful Audi, but it’s arguably the toughest of them all. It’s armored without looking like it is. The end result is a limousine that Audi believes is the “most secure” model it has ever built. With all the military-grade refinements it has under that body, it’s hard to argue against that claim. 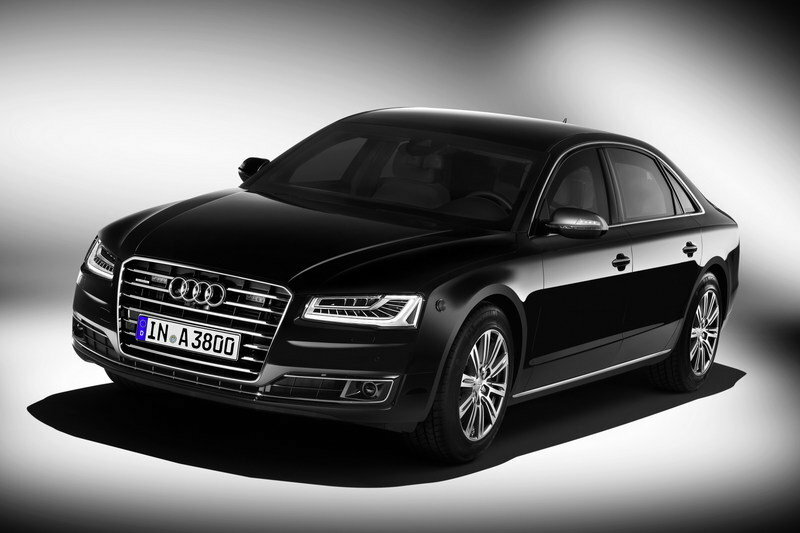 The Audi A8 L Security will make its debut at the 2015 Frankfurt Motor Show. 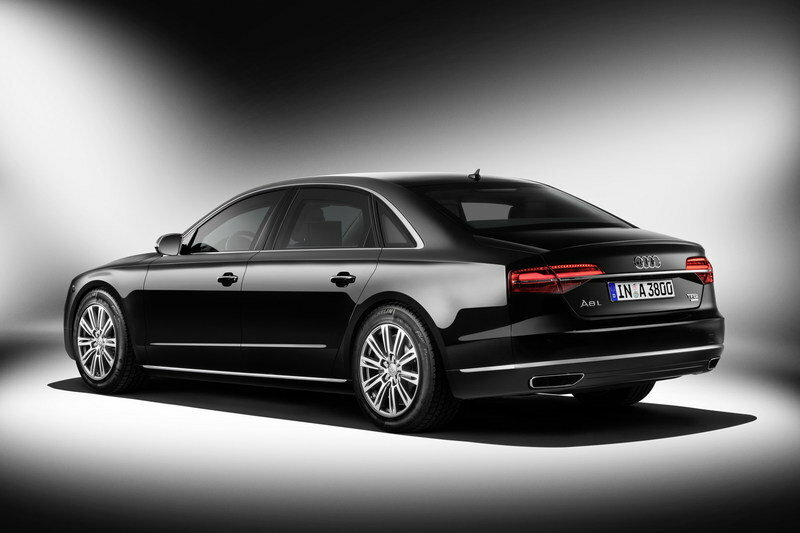 Continue reading to learn more about the Audi A8 L Security. From the outside, the Audi A8 L Security looks just like a standard A8 L. Every detail is where they’re supposed to be so finding something aesthetically different will be a little bit of a challenge. But that’s where the similarities end because when you peel the skin off of the A8 L Security, it reveals a literal fortress on wheels. The heavily armored limousine has a safety cell built that’s fortified with aramid fabric, special aluminum alloys, and hot-formed steel. These materials keep things like bullets and shrapnel from piercing through the bullet-proof glass and the body shell. Even the tires look normal, but they’re actually run-flat tires that have been designed to continue functioning without any pressure for an extended distance. This allows the car to escape from the line of fire battered and bruised, but still in good working condition. 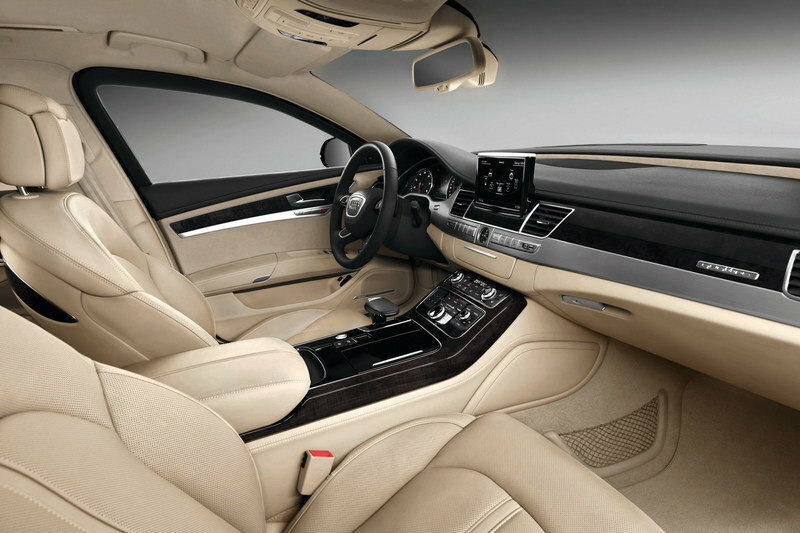 The interior of the Audi A8 L Security retains its luxury chops, which means that occupants can still enjoy all the high-class amenities that “regular” A8 limousines have at their disposal. 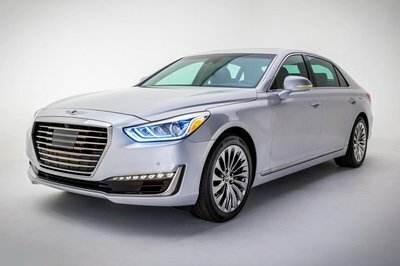 Since this is a car that will likely be used by VIPs and heads of state, Audi added a list of new features on the limousine, including an armored communication box in the luggage compartment, an intercom for communicating with people outside the vehicle, and selective door locking. There are also a handful of optional features that can be installed into the interior. Things like Audi’s patented emergency exit system, a fire extinguishing setup, and an emergency fresh air system that independently provides oxygen to the cabin can be added. Note: 2015 Audi A8 W12 engine bay shown. 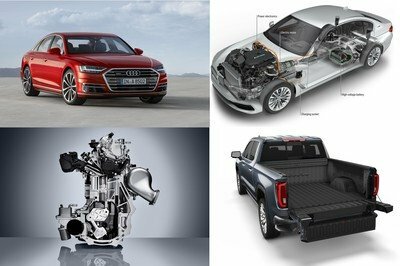 Two different engines will power the Audi A8 L Security. The first, a 4.0-liter TFSI biturbo V-8 engine, produces 435 horsepower and 442.5 pound-feet of torque. The second, a naturally aspirated 6.3-liter W-12 FSI engine, pumps out 500 horsepower and 461 pound-feet of torque. 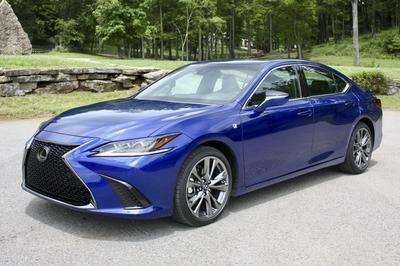 Both engines will be offered with the eight-speed tiptronic transmission that sends power to all four wheels. Given the state-of-the-art security features on the A8 L Security, expect it to have a similar 0-to-60-mph time of 7.1 seconds like the previous model. Likewise, the top speed on both engines is still at 130.5 mph. Audi intentionally limited it in consideration of the run-flat tires. The ultra-thick glass, high-tech aluminum alloys, hot-formed steel armor, and the aramide fabric that’s typically associated with Kevlar are all important safety features of the A8 L Security. According to the agency’s ballistics protection ratings, VR9 is the highest ballistic protection for civilian vehicles. The VPAM determines the rating of these armored vehicles with respect to the kind of ammunition that can break through the glass and body shell of a vehicle. For a car like the A8 L Security to be classified with VR9 levels of protection, it must withstand military-grade weapons like M14 and FAL-FN rifles from a distance of 10 meters. The car must also handle at least three shots from any squad-based heavy weapon like an M60 machine gun from a similar distance and a blast of 15 kilos worth of TNT from two meters. Audi’s keeping the price of the A8 L Security classified for now, even though order books for the most secure Audi ever are already open and the first batch of deliveries has already been scheduled for the spring of 2016. I can only imagine that pricing for this rolling fortress is on a “need-to-know” basis. The A8 L Security could have a price that’s somewhere in the mid-six figures, depending on what kind of security features are fitted into it. 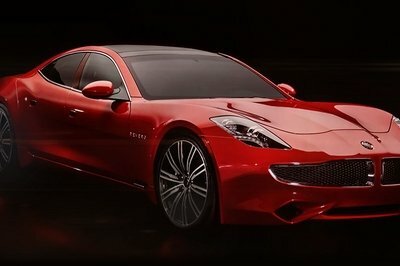 What’s clear is that this model will be significantly more expensive than the $140,000-Audi A8 L W12. 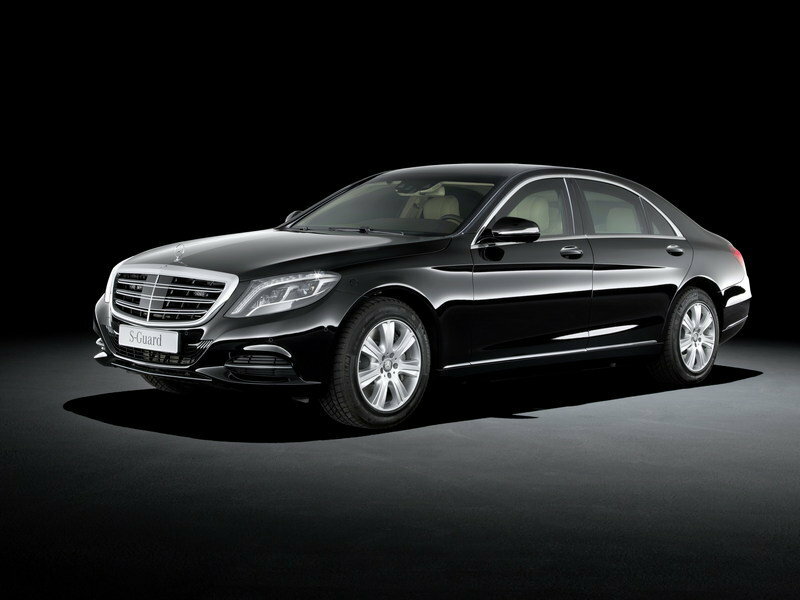 Just like the A8 L Security, the S600 Guard was created for the sole purpose of keeping its occupants safe from attacks. It’s got a two-inch-thick steel plate and bulletproof glass, among its many security features. These features make the S600 Guard certified for ballistic protection class VR9, just like the A8 L Security. Whereas the Audi has two engine options to choose from, the S600 Guard only has a 6.0-liter V-12 engine that generates 523 horsepower and 612 pound-feet of torque. All that power is sent to the rear wheels courtesy of the 7G-TRONIC automatic transmission. Top speed has been rated at 130 mph. Mercedes is already taking orders for the S600 Guard, but the exact pricing figures have not been released to the public. Expect it to be much more expensive that the “standard” S600, which already sells for at least $166,900. 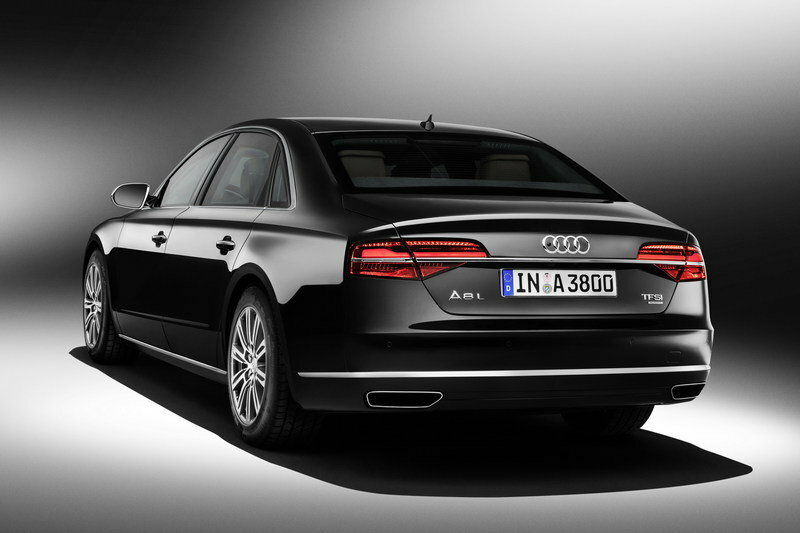 The new Audi A8 L Security isn’t a car that people can just pick up from a dealership. I love the lengths Audi took to provide its ballistic classification. Audi has once again further developed its armored high-security sedan. At the International Motor Show (IAA) in Frankfurt am Main, the premium brand is presenting the most secure Audi ever in the form of the A8 L Security. The car will satisfy the criteria of the class VR 9 ballistic protection standard, currently the most stringent requirements for civilian high-security sedans. Audi has once again made its armored security sedan even more robust. For instance, from now on the safety cell of the new Audi A8 L Security will integrate extremely resistant materials – aramide fabric, special aluminum alloys and a hot-formed steel armor that offers even more protection despite its lower weight. Audi engineers also further developed the vehicle’s glazing. These improvements mean that the total vehicle is now certified to the requirements of resistance class VR 9. It has been tested for resistance to explosive charges in accordance with the ERV 2010 guideline. Previously, the A8 L Security fulfilled resistance class VR 7. The company manufacturers each order entirely under its own supervision in a partnership between the Neckarsulm plant and a secure, top-secret factory. 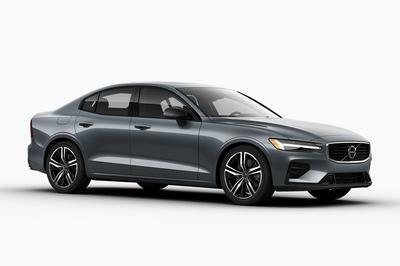 Standard security features of the luxury sedan include an armored communication box in the luggage compartment, an intercom for communication with the outside world and selective door unlocking. Upon request, Audi can deliver solutions such as its patented emergency exit system, a fire extinguishing system and an emergency fresh air system. Along with standard comfort features such as the relaxation seat at the rear, Audi can also satisfy individual requests. The Audi A8 L Security assumes a unique position in its segment. Its quattro drive makes it the only luxury sedan with an all-wheel drive system that is offered directly from the manufacturer as an armored high-security vehicle. Thanks to the high share of aluminum in the body, the vehicle’s weight is relatively low. Nonetheless, it can handle a maximum payload of 600 kg (1,322.8 lb), which is the best figure in the competitive field. Two engines are available for the high-security sedan. The 4.0 TFSI, a biturbo V8, has a power output of 320 kW (435 hp) and produces 600 Nm (442.5 lb-ft) of torque. 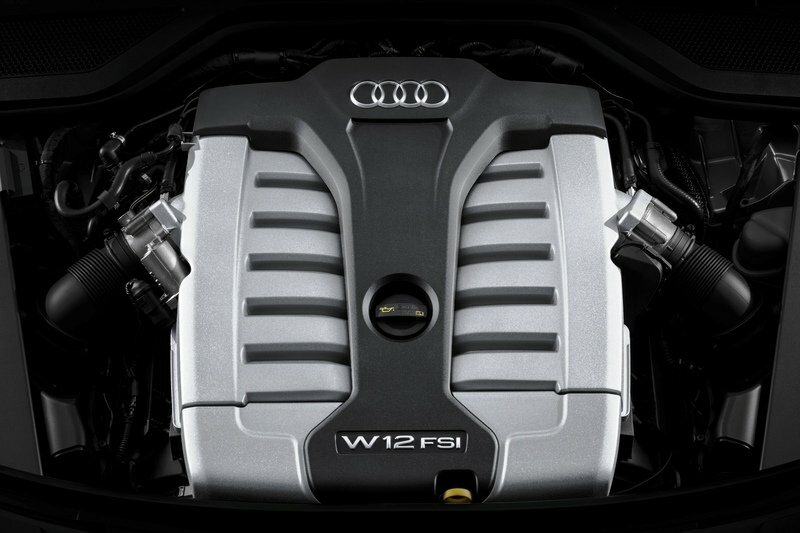 The naturally aspirated W 12 FSI offers 368 kW (500 hp) and 625 Nm (461.0 lb‑ft) of torque. Its torque performance is strong, and its top speed is electronically governed to 210 km/h (130.5 mph) – a limit set in consideration of the tires that possess exceptional emergency flat-running properties. The entire chassis and the quattro permanent all-wheel drive are specifically designed to meet the high security requirements. 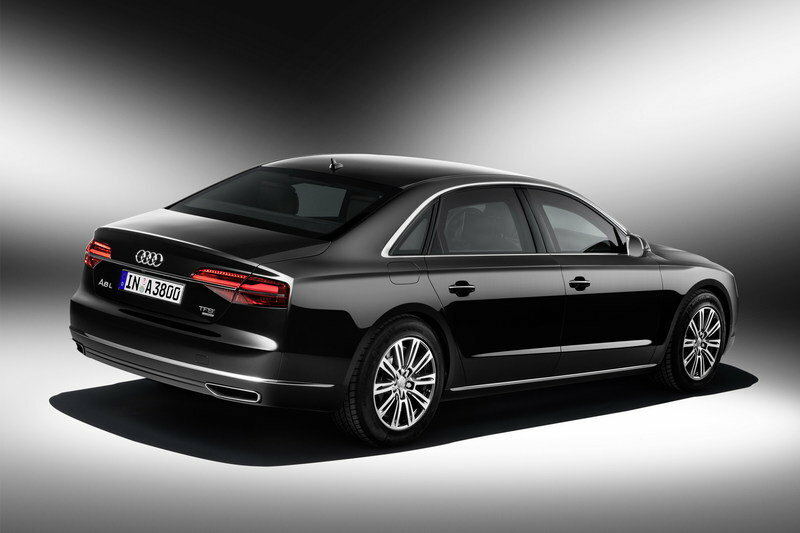 Orders are now being accepted for the updated Audi A8 L Security. Delivery is scheduled to begin in spring 2016.